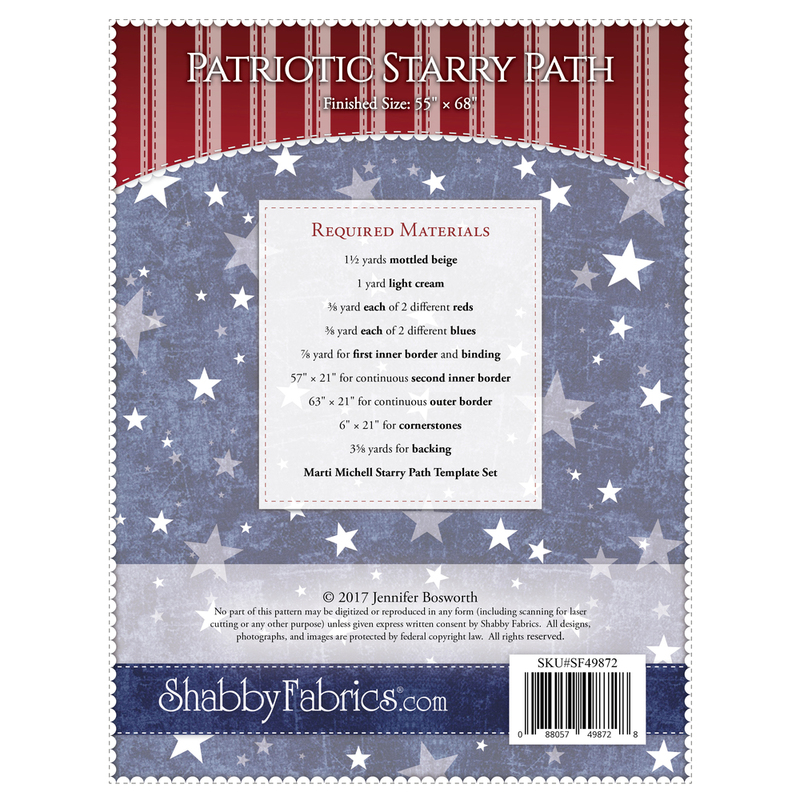 Decorate your home with this striking quilt or better yet, honor a service member by presenting this beautiful, patriotic keepsake. Finishing to 55" × 68", this quilt meets the standards of the Quilts of Valor Foundation® to be an official Quilt of Valor®. 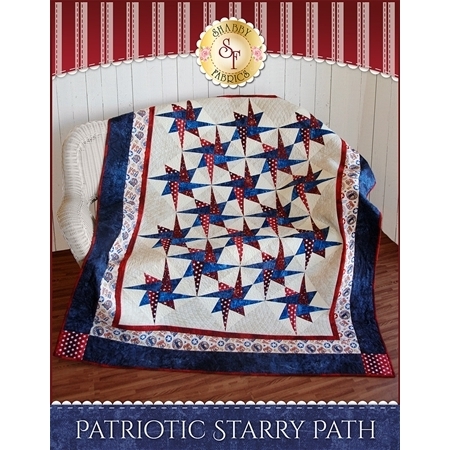 This quilt requires the Starry Path Template Set from Marti Michell in order to create the blocks. You can add this template below.